Is Bad Customer Data Dragging You Down? Data has the power to optimize marketing, cultivate better leads, increase customer loyalty and drive more revenue to the bottom line. 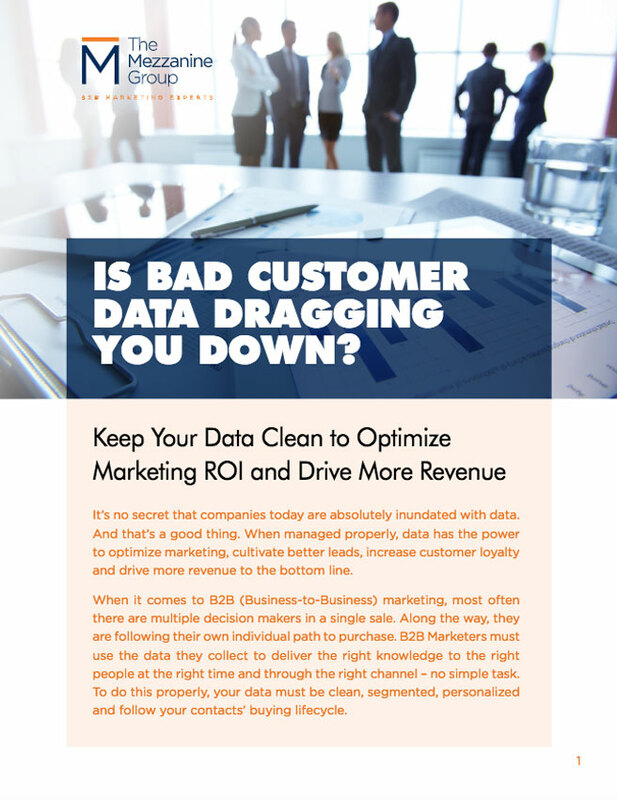 But, your data must be clean, segmented, personalized and follow your contacts’ buying lifecycle. As many as 80% of firms struggle to manage the volume, variety and velocity of their data. Keep your data clean well into the future!